This large well equipped chalet offers excellent family accommodation. 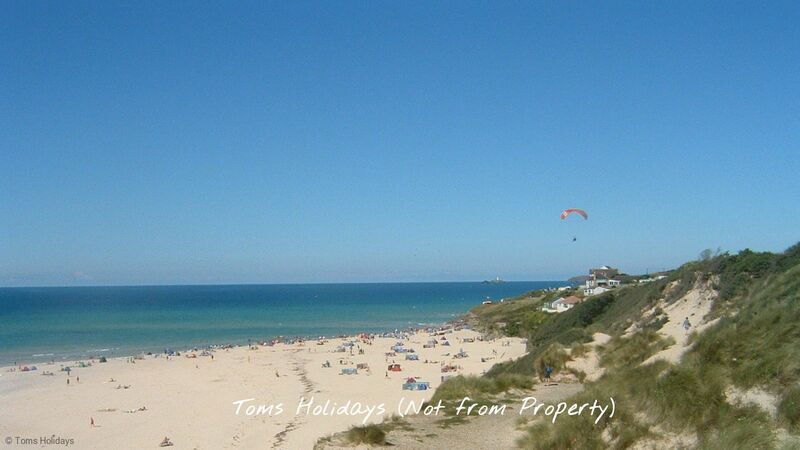 Situated in a quiet, natural area of the site, close to the shop and beach access. Decorated throughout in a modern beach style, this property benefits from a lovely lounge with french windows overlooking the open park area, a large family kitchen with french windows opening to the side of the property and a sunny sheltered area at the side of the property with a picnic table. 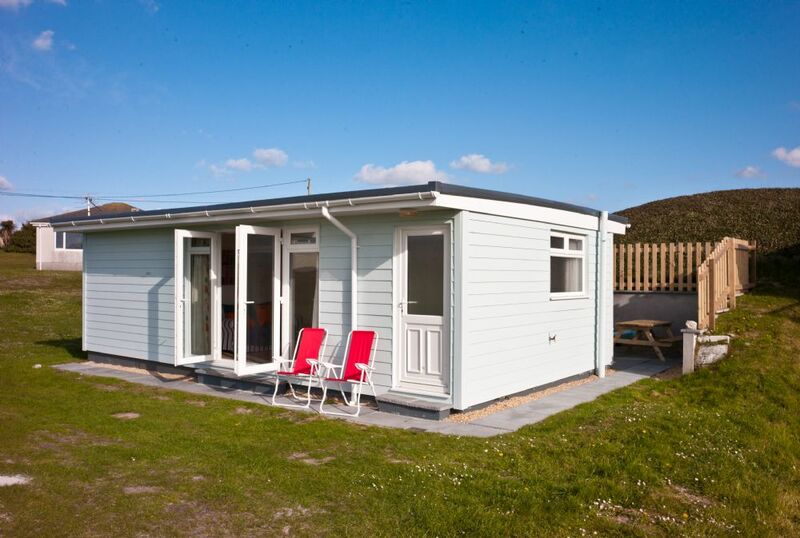 Ideally situated for all the attractions of West Cornwall, Mermaids Nest is the perfect place to sit back and relax after a day on the beach or out and about. Parking- Plenty of space for 2+ cars beside patio doors in front of the chalet. Access- Level access right to patio doors. Lounge/Diner- Very bright, spacious and modern lounge. Equipped with flat screen TV / DVD two large two-seater sofas and coffee table. There are French doors offering views to the front of the property. 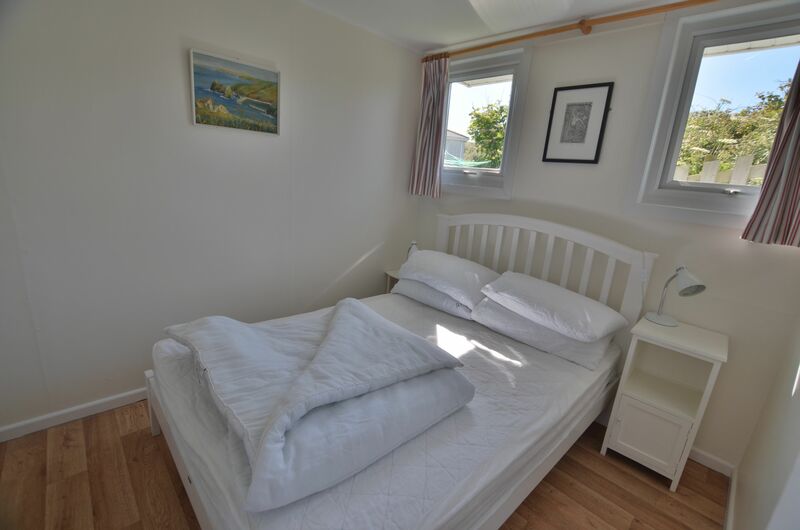 Bedroom 1- Large and spacious double bedroom with double bed. Two medium sized windows that let in plenty of light. A bedside table lamp, large chest of drawers and built in wardrobe with plenty of storage space. Bedroom 2- Modern and light spacious twin bedroom with a nautical theme. Two full sized single beds. Bedside table and lamp between the two beds. Large fitted wardrobe and a chest of drawers. Bedroom 3- There are full size bunk beds in this bedroom. The bedroom boasts a large chest of drawers. Kitchen- Fully fitted kitchen with plenty of storage cupboards, cooker, washing machine, microwave, large fridge freezer, dining table and 6 chairs. The kitchen is fully equipped with cooking utensils, plates, cups and cutlery. The kitchen has French doors which open up to the patio area. 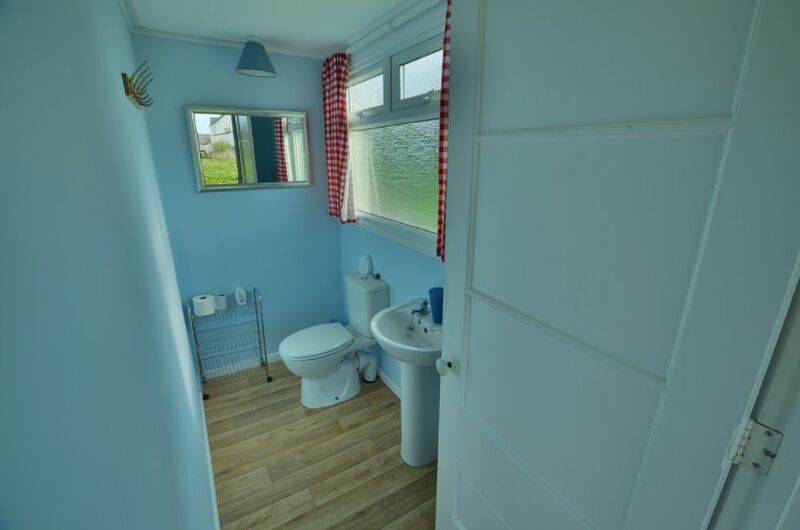 Shower Room- Large nautical themed shower room with a towel rail. 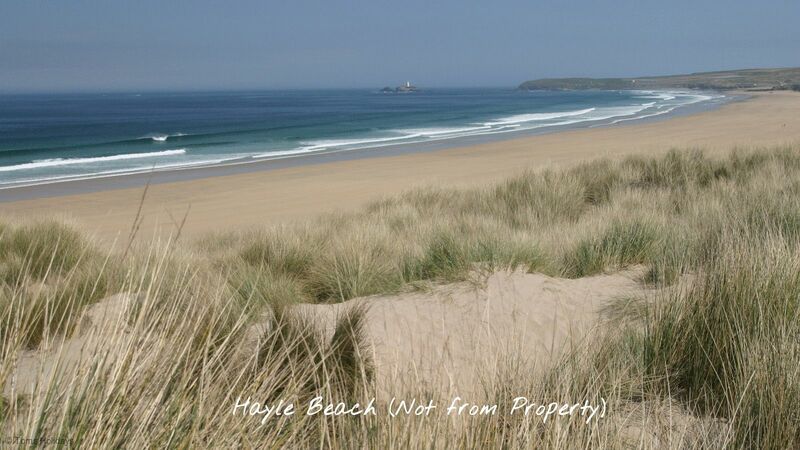 Situation- Located on Riviere Towans, the site has over 40 acres of unspoilt, natural, undulating sand dunes above the three mile, golden sand beach at Hayle, St. Ives Bay. 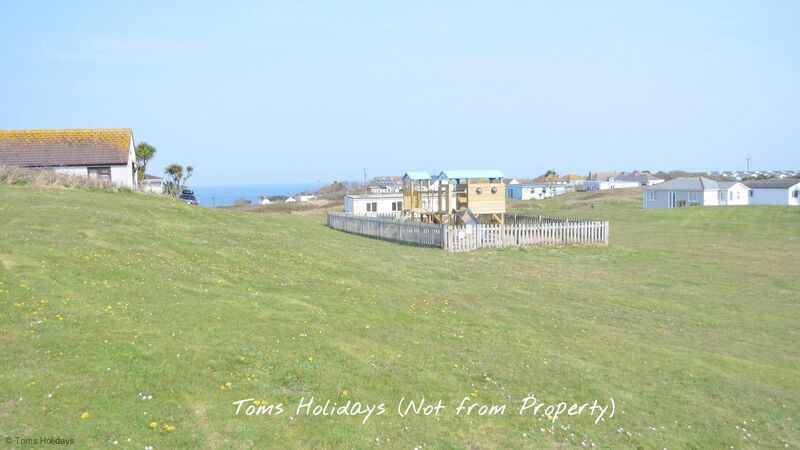 It is one of the oldest holiday parks in the country, with the first chalets constructed in the early 1920s. Now a beautiful site with a vast range of individual, privately owned accommodation, including beach chalets to bungalows and lodges. 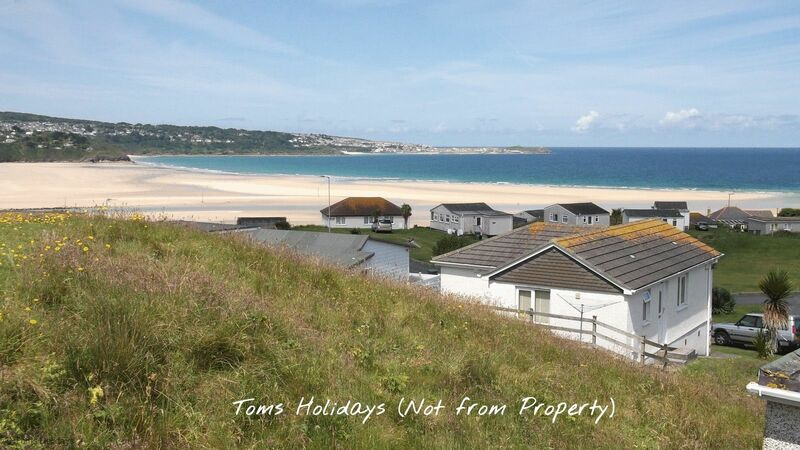 Many of these have stunning sea views and all are within a few minutes’ walk of this amazing beach. 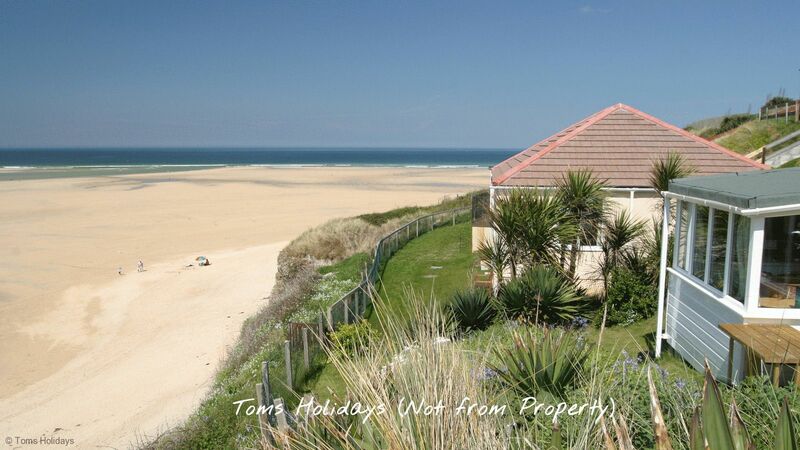 Riviere Towans is on St. Ives Bay at Hayle and only a short drive from well-known places such as St. Ives, Penzance and Lands End. Many visitors enjoy not only the beautiful beaches, but the picturesque fishing villages and peaceful countryside West Cornwall has to offer. For those seeking more excitement there are great attractions and sporting opportunities close at hand. Cornwall has always been a favourite of artists, writers and film producers and its rugged coasts and beautiful coves have featured in numerous films and TV series most recently, the popular Poldark series. 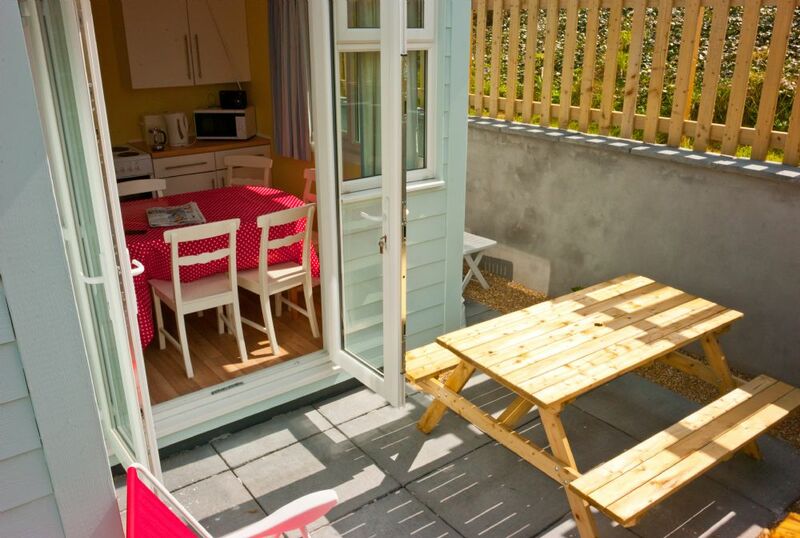 Useful information- All the properties we manage are self-contained and self-catering. All the kitchen equipment you will require for your stay is provided in the property. All properties include a microwave, TV, iron and heating to name but a few of the basics. A large number also include washing machines but do check the property particulars above. Linen- We provide duvets and pillows, and guests are asked to bring their own bed linen and personal linen such as towels. If you would prefer to arrive having all beds made up and towels provided ready for your holiday, we do provide a linen service at additional cost. A perfect short break for the family thank you very much! We look forward to returning soon! Thank you very much for the use of your beautiful chalet. It was very well laid out, clean and close to all the amenities (shop and pub). 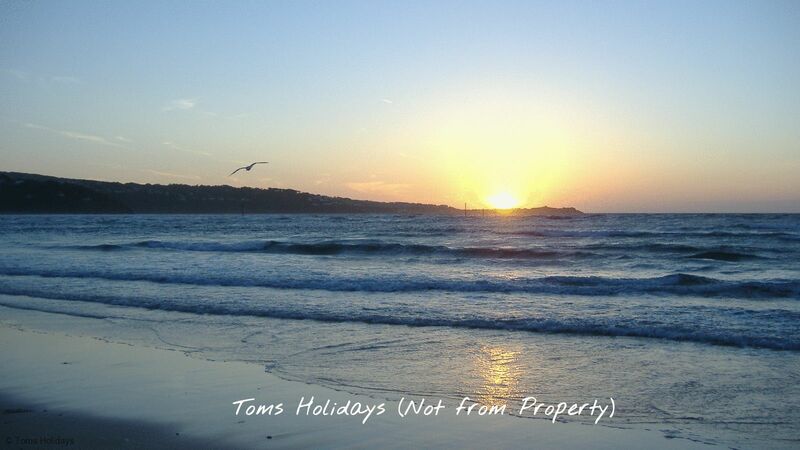 We have been to Toms for the last three years and felt really relaxed here. Many thanks. Thank you very much fro a wonderful stay. Fantastic accommodation and so well equipped. We love the privacy that comes with the accommodation and now want two weeks instead of the one next year. We have the Cornwall bug and love the Mermaids Nest. "Thank you Mermaids Nest for a lovely stay. We booked this by sheer luck the day before we came. What a find! We hope to come again next year. -Kirsty, Andy, James & Martha.